There's no better time of year to participate in a Siouxsie & the Banshees tribute album than now. Local electrogaze trio Vibrissae were fortunate enough to do so. Sao Paulo, Brazil based blog and label The Blog That Celebrates Itself released Desert Kisses: A Tribute to Siouxsie & the Banshees a little over a week ago and its celebration of one of the most influential post-punk bands in the game is ideal for the Halloween season. Vibrissae's featured cover of "Red Over White" aces the balance between their individual, celebrated sound and that which makes Siouxsie & the Banshees still worshipped to this day. 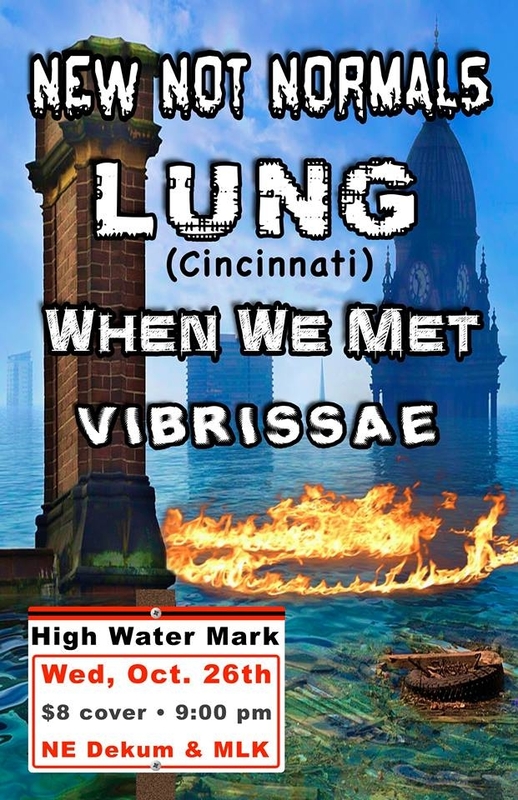 Vibrissae has a show coming up tomorrow supporting the first Portland appearance for Cincinatti art rockers Lung, along with the beautifully blended indie-electropop-punky alt blues of dynamic duo When We Met and the psych tinged post-punk of the New Not Normals at the High Water Mark.